Normally I loathe just reblogging stuff from elsewhere on teh t00bz, but I make exceptions. Sometimes it’s nice to have your sense of wonder not just tickled, but smacked right across the room. This picture of NGC 346, from APOD, did it for me. Click through to the astronormous hi-rez version, and spend a few minutes zooming in and out. While doing so, try to hold these two ideas in your head at once: first, this is just one star-forming region in the Small Magellanic Cloud, which is a small satellite galaxy of the Milky Way, which is a big spiral galaxy in a small galaxy cluster on the outskirts of a not-terribly big supercluster, and so on and so forth; and second, every star in the picture is a sun, each with its own history and fate, most with their own systems of planets–and so on and so forth. 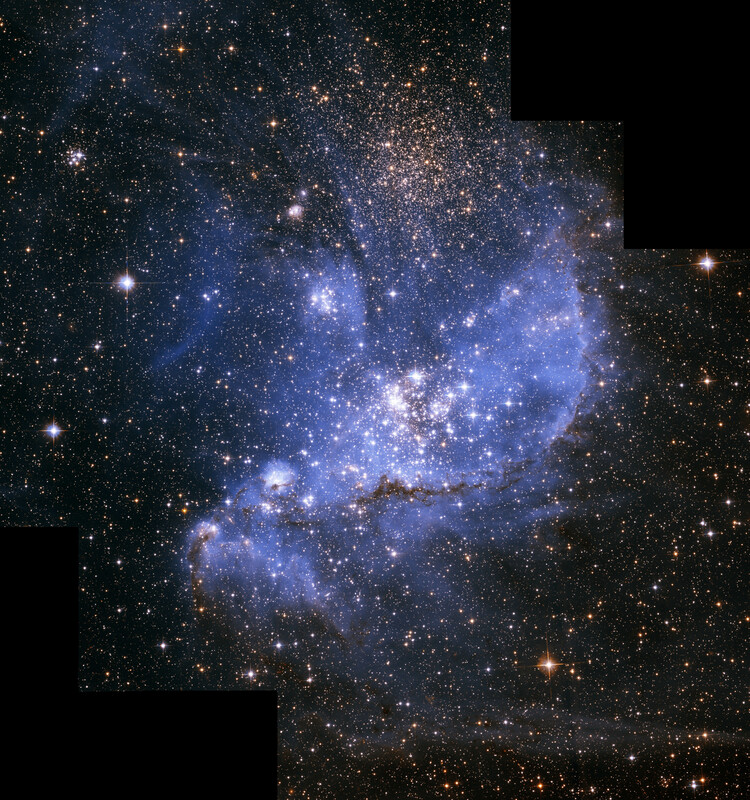 If NGC 346 was our entire universe, we could spend a thousand centuries exploring it and not exhaust its wonders. And yet you would not have to venture far into the closer galactic superclusters to find more galaxies than there are stars in the photo, each galaxy with more stars than you could count in a lifetime, each star with its own unique history. Right! Enough of that! Back to fighting over our speck of dust. You are currently browsing the 10 Minute Astronomy blog archives for the day Saturday, October 16th, 2010.